Joerg Jores (right) gives Sir Mark Walport, UK chief scientific adviser, an overview of work to develop a field-friendly diagnostic test for Middle East respiratory syndrome (photo credit: ILRI/Paul Karaimu). 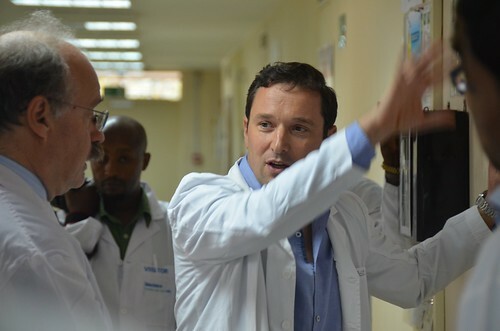 Among short presentations made to Sir Mark Walport, the UK chief scientific adviser, on his 15 Jul 2015 tour of the biosciences laboratories at the International Livestock Research Institute (ILRI), in Nairobi, Kenya, was one by Joerg Jores, a molecular biologist working to better control important livestock diseases of Africa and other developing regions. Jores is a senior scientist in ILRI’s Vaccine Biosciences program whose work supports the CGIAR Research Program on Livestock and Fish. 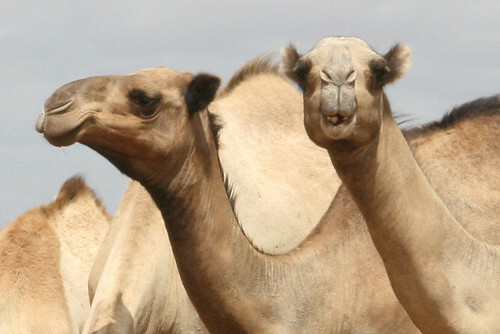 Camels in northern Kenya (photo credit: IRIN photos).